Remember a couple of years ago I made a mouse controlled dalek? 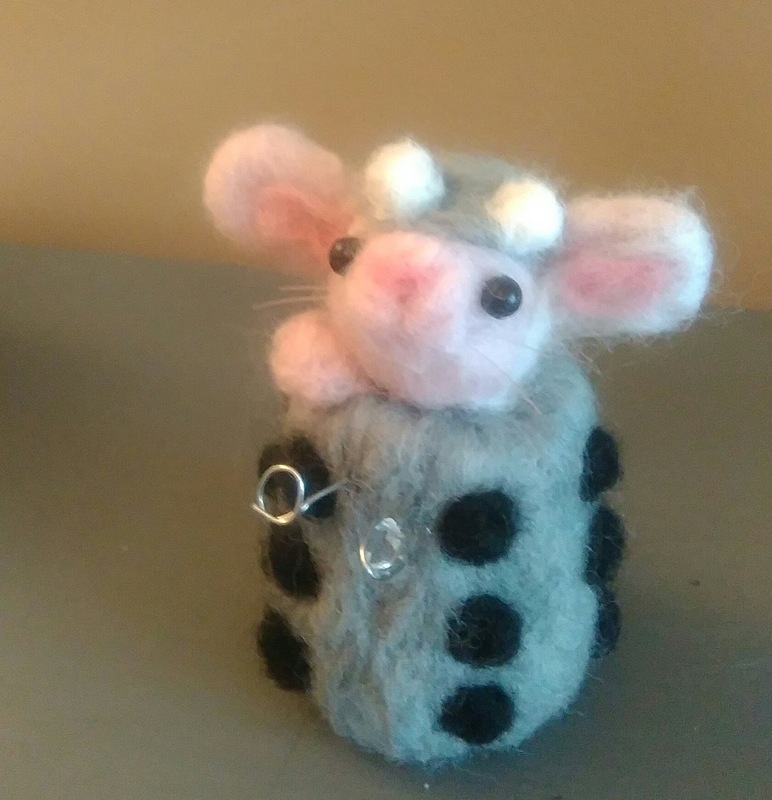 I considered making another one for this craft fair but I get bored making the same thing twice so: bunny controlled dalek. 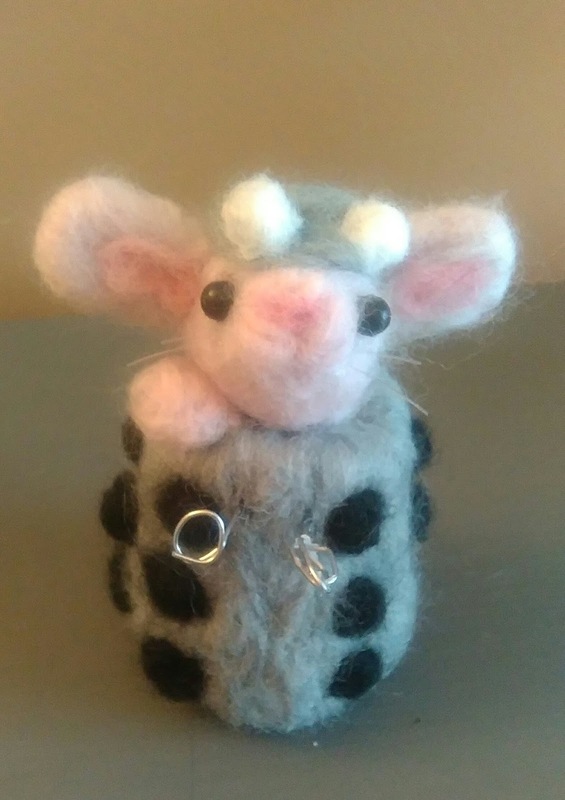 How adorbz is this guy? Incidentally, sometimes it isn't easy to see defects when you are looking closely at something all the time, and I see things in blog photos that I am not happy with. 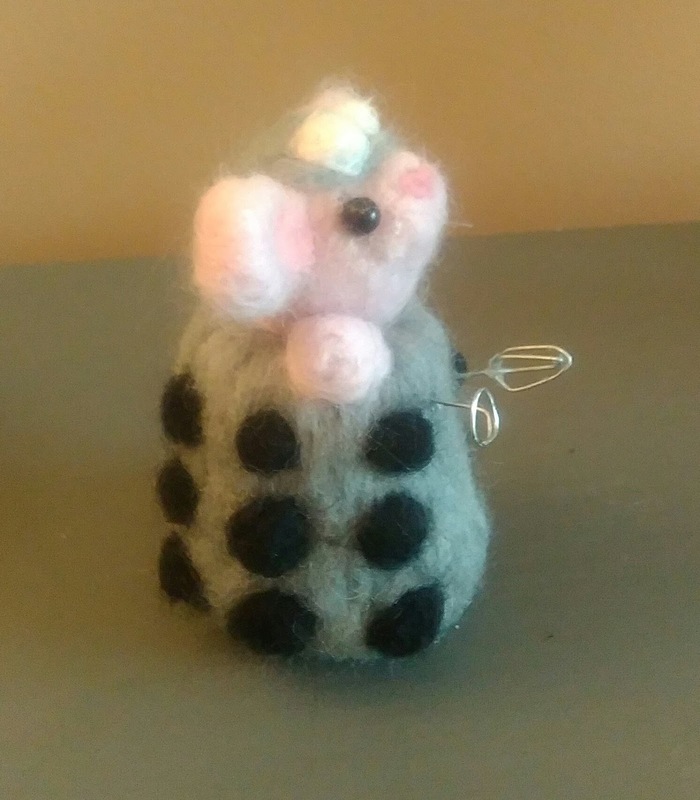 His dalek dome/dome nobbles need adjusting. There's that whisk in action.